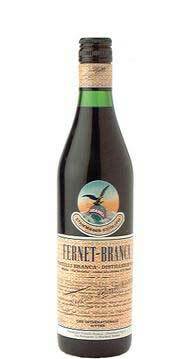 In certain Boston bars, if you see a group of people drinking shots of brown liquid poured from a dark green bottle, the people probably work in a restaurant and the liquid is probably Fernet Branca. Fernet (fer-NETT), as devotées call it, is among the broad range of intense, botanical-infused spirits classified as bitters. These include highly concentrated potions administered to drinks by the drop (Angostura, Peychaud’s, orange bitters) and herbal spirits that you can drink straight or base cocktails on (Campari, Aperol, Jägermeister, Fernet). Fernet is made in Italy with 27 different herbs (one of them, gentian root, will be recognizable to anyone familiar with Angostura bitters or Moxie) and is aged in oak casks for a year. Fernet most often gets compared to Jägermeister, the German bitters that became so popular 15 or 20 years ago that it marketed its own chiller-dispenser to bars (yeah, it’s that rectangular metal box with the stained plastic tubes sticking out of it, right next to the Apple Pucker). However, it makes the sweeter, slightly lower-in-alcohol Jägermeister seem suitable for children. Jackson Cannon, bar manger at Eastern Standard, calls it “Jäger for men.” The first time you taste Fernet, it literally assaults your senses. It’s intensely bitter, peppery and mentholated. ‘I can’t believe I just swallowed that,’ may be your first thought. But, intrigued, you try it again. You like that cleaned-out buzz, that feeling that your insides have been sandblasted. The next thing you know, you’re working in a restaurant. Why do waiters, bartenders and chefs gravitate toward this stuff? Well … It’s a badass drink that very few people know about, much less like. Drinking it conveys both that you have an advanced palate and that you embrace the ridiculous. And it’s the antithesis of all the insipid Cosmopolitans and Grey Goose martinis that restaurants churn out to earn their rent money. Bostonians appear to have entered the race, though. Eastern Standard, Green Street, the Independent and Deep Ellum all serve cocktails made with Fernet. Jackson claims that Eastern Standard is the leader in sales. “It’s impossible that another account in Mass. is even close to ES!” I’m not going to argue with him; I was at Eastern Standard recently with a group of bartenders for whom mere shots of the liquor wouldn’t do; they ordered a whole damn bottle. Granted, they shared it with the kitchen staff. i’m always torn between it and averna…. but i’m also now into benedictine…. B&C (benedictine and calvados) is real serious…. B&P (benedictine and pear brandy) OMFG! the merits of premixing a la B&B is to integrate the sugars and make the drink taste less hot and seperate…. the first person to order a B&C from me….i will buy it for them…. Cheers! I’m doing what I can to evangelize this nonpareil digestivo at bars around the city, particularly trying to shame any Italian restaurant with a cordial license that doesn’t carry it. The good news is, if I can’t get it after a big meal while dining out, I’ve always got a bottle of it in my freezer at home. 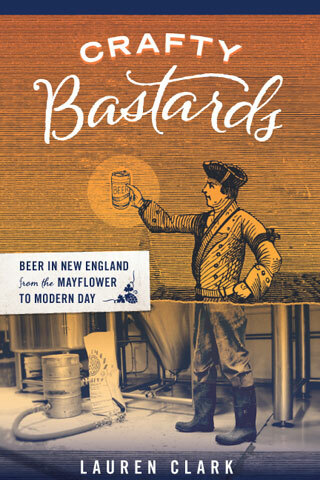 Any idea where you can find a bottle of this wonderful stuff in Boston? I recently moved from S.F., where this can be found in any respectable corner market, but I think I’ve checked every liquor store in Cambridge and still haven’t found a guy who’s even heard of it. OK, So this is more than a year late, but I just bought some Fernet yesterday at Bauer’s Wine on Newbury Street, right next to Newbury Comics. Great! What do you think? It’s great in cocktails like the Hanky Panky.